So I want to do a new series on my blog all about tips for while your planning your wedding! From the engagement to the big day! So if your on the verge of getting engaged or you just have or your just fancy some tips for the future then grab a cuppa and carry on reading. So there is so much expectation to give that special person the perfect ring in the perfect way! The "tradition" says to spend at least 1 months wage on a ring. Well as a girl who has had 3 engagement rings during my engagement I am here to yell bo***ks! If you want to propose the be all and end all is NOT the ring, it's the fact you are telling that person you want to spend the rest of your life together. 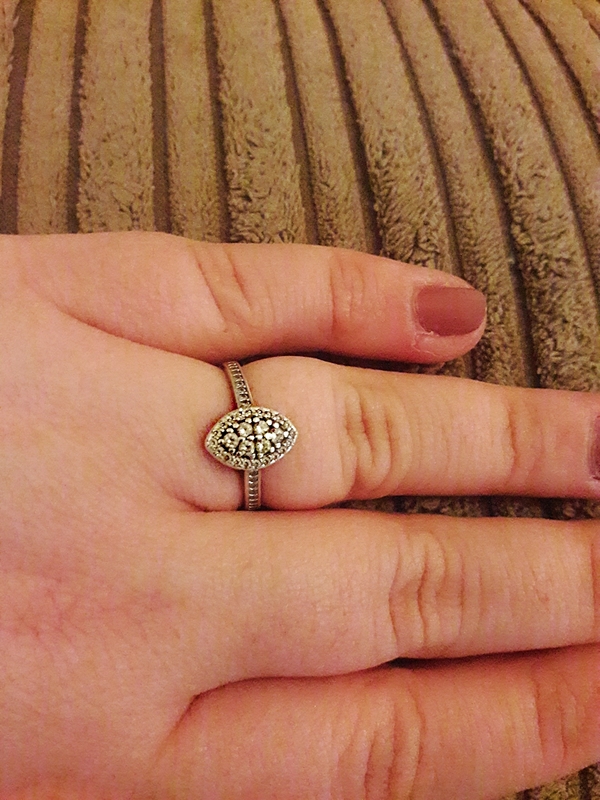 Paul proposed to me while on holiday in Wales, he did it in our hotel room and he didn't have a ring. Why?? Probably because he didn't realise he was going to do it. He said it felt right to ask, which I love, it made it feel more natural and I am just glad he hadn't spent time thinking over it for weeks. Everyone is aware of the song "Diamonds are a girl's best friend" and yes they are gorgeous, they are timeless and they are expensive, trust me I work in a jewellers so I see people coming in all the time to get their rings. Does it have to be expensive??? Or a diamond??? NO!!!!! If your special person doesn't like diamonds then don't get them a rock! My GORGEOUS ring (yes I chose it so I am bias but I think it's beautiful) is silver and isn't a diamond. Does anyone notice?? Nope, people just say how pretty it is, so don't get in a panic if your budget doesn't stretch to a £1,800 18ct white gold diamond ring. If you do go to pick a ring out, trust your own gut, it is your best friend. You know that person, you love that person, you see them all the time, look at what they wear, is it yellow gold, white gold, rose gold, silver, big or small. Are they the kind of person who likes big stones or small. Planning to buy the ring is fab, your organised, well done but try and rob a ring off them, bring it with you to the jewellers and they will help you to figure out the right size. This helps you in two ways, first it helps you so you don't need to worry about bringing the ring back to get it resized and second it makes you look so on it with your partner. Whether it is planned or just popped out of no where, stay calm. Yes I understand I am currently behind a computer screen and not in your position so it is easy for me to say, but if you just take a deep breath and then do it, it will help you to just focus a little and get out everything you want to say. Lastly no matter how, where or when you do it, whether you have a ring or not, enjoy your proposal. Enjoy being engaged and enjoy your time together, because trust me from there on it can be hard.